Tension headaches are the most common type of headache. Everyone gets them from time to time, but in some it may become chronic. There is no need to suffer, acupuncture can treat your headaches and make you feel better. You probably know when you have a tension headache. It is usually a dull aching pain that can come from being stressed out, upset, too tired, overworked, or stared at your computer too long. This is often accompanied with tension of the neck muscles, pressure in the forehead, temples, or base of the skull. For most people, the headache will last a few minutes to a few hours, but some have chronic headaches which reoccur for a long time. Severe chronic headache suffers can have it for more than a few days or months. Most cases are not an emergency, but if you experience an abrupt severe headache with a feeling of a snap in you head or if you headache is accompanied by a fever or trauma, you should go to the emergency room. 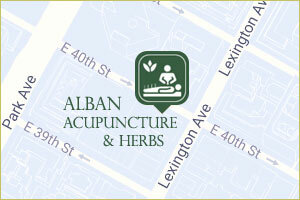 How does acupuncture treat headaches? Acupuncture and Chinese medicine scholars theorize that health is based upon balance in the body. Imbalances can cause long term illnesses and pain. Acupuncture and Chinese medicine work by correcting these imbalances in the body. Once the imbalance is corrected, the body can then works to heal itself. Physiological, acupuncture works to reduce pain and inflammation through regulating neural pain pathways, stimulating the release of natural pain relievers in the body, such as opioids, as well as regulating pain relieving opioid receptors. Many studies have also shown acupuncture to have a anti-inflammatory effect, reducing the circulating inflammatory hormones in the blood (1). Chronic headaches and migraines there is often a terrible cycle of tension and pain. The muscles tense up in reaction to the pain and then the pain causes the muscles to tense up more. Some believe this cycle of pain further exasperates the decreased blood flow to and from the skull, which may be one of the causes of migraines. Acupuncture cuts off this cycle of tension and pain by relaxing the muscles and relieving tension. Acupuncture is also very relaxing. Most people feel very calm during the treatment and this lasts for a period of time afterwards. Over time, treatment helps influence you to be calm and increase your ability to deal with stress. This is because acupuncture does not separate the body and the mind. The mind influences the body, and the body influences the mind. So in treating the body we also relax the mind. What are the most common imbalances that cause headaches? When comes to headaches, the imbalance is often rooted in the circulation or production of the body’s energy called qi (pronounced chee). Qi needs to be abundant and circulate through channels in the body or else illness occurs. In Chinese medicine, it is said “When the qi flows there is no pain, when qi stops, there is pain and illness.” When there is stress, trauma, or other illness, the qi circulation can slow down and become stagnated. Someone with qi stagnation will have headaches that are intense, worse with stress, neck pain, ribside pain, possible insomnia, and digestive problems. Another imbalance can be too little energy, or what is called qi deficiency. If there is too little energy, then people will feel tired, get bloated after they eat, and have a weak pulse. Acupuncture, Chinese herbs, and acupressure all help to build more qi and smooth the flow of qi. An effective acupuncture treatment is based upon a specific and accurate diagnosis. The root imbalance of the condition and by asking in depth questions, taking your pulse, and examining your body. By targeting the exact root of the condition leads to the most successful treatment. I combine acupressure, Chinese medicine massage, with the acupuncture to create greater results and a stronger sense of relaxation. Usually people will feel some relief after only a few weekly visits.